Workplace chat apps are on the rise to be one of the next big things in unified communications. Branching beyond the clutter and nuisance that email can bring, and taking workplace collaboration one step passed old school instant messaging apps, these chat and team collaboration apps do more than just let you ping your coworker to see what they want for lunch. Its a clear trend these new team collaboration software are taking over, and will soon be seen as just another necessary solution to employ. At first, many years ago, it was phones, then email came along and began the digital transformation, but now with the cloud this next step will be/is becoming chat apps. With the cloud, these apps can do more than simple instant messaging, empowering collaboration and helping you get work done with a constant, always existing, searchable chat – now combined with even more features and tools to help move your projects along. Of course the first name that often comes to mind is the ever popular Slack, and mostly for good reason. A good design and good marketing can go a long way, but as I’ve seen in my Chat Wars pieces, both Slack vs HipChat and Cisco Spark vs Slack, the flashy workplace chat tool does miss some key points. Whether that be a lack of security, or the limitations placed on your messaging abilities due to a freemium model – there’s always room to improve. As we all know, competition breeds innovation. But not one chat app is better than the next, they all do something different well, and whatever solution fits your needs is mostly a case-by-case basis. We wanted to take a closer look and round up a solid group of Slack alternatives that can fill in some of the gaps otherwise left uncovered. Comparing Cisco’s Spark to Slack is a little bit of an apples to orange scenario. During my in depth look at the two, I noted that Slack is more of a messaging app that can be bent to your will to add extra functions, while Spark is an overall collaboration, meeting tool that can also be used for simple text chat. One isn’t necessarily better than the other, but it is a clear case of the two looking to branch into each other’s space. One of the largest benefits Spark can boast is the organic integration of video chat, something that seems like a given knowing the factory that built the tool. Cisco has been able to leverage something they’ve been doing for years into a new tool just now cropping up on the market. Beyond simple video, Spark focuses on the idea of contextual collaboration. Everything that happens in Spark should happen with context – Spark isn’t just a tool to see what your coworkers are up to, but a way to host real-time online meetings. Create a room, add your team members working on a specific project, drop in files and keep the work flowing. 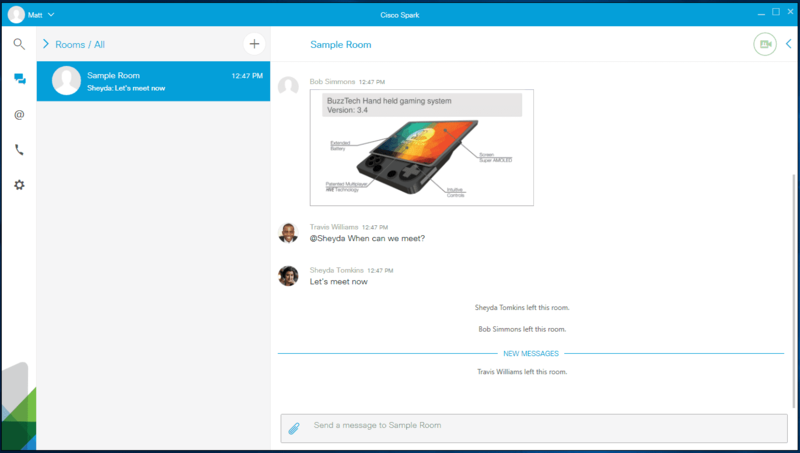 Of course Slack allows for this same collaboration, but with the ability to have files living directly in your Spark room, the ability to jump into a video meeting , or open the softphone and call a coworker – all while ensuring your information is completely encrypted and secured thanks to Cisco’s unique way of locking down your messages. Spark takes the Slack idea, and leaps a couple of years ahead. A veteran in the space, HipChat has been around since 2009 and lives on in this ever growing category. 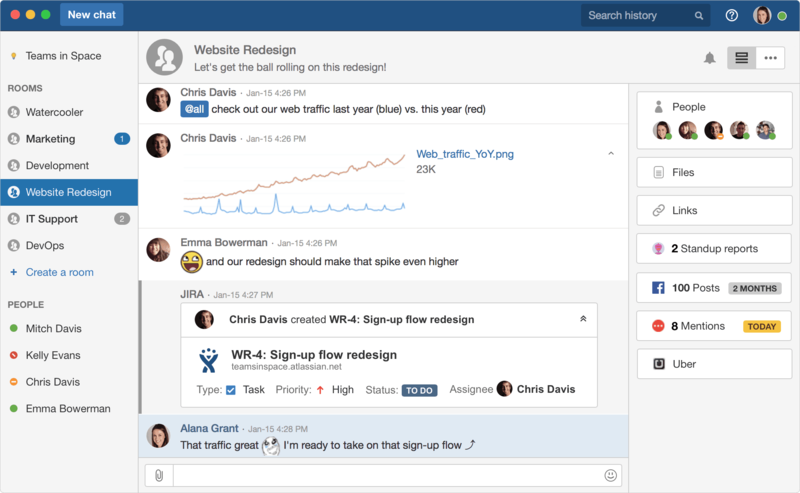 The introduction of Slack was a good thing for HipChat, pushing the old dog to learn some new tricks. An updated interface really pushed the app into modern design trends and helps ease the concerns of using an older styled platform. When I compared HipChat to Slack, I even went as far as to state I preferred HipChat’s default layout and use of color to distinguish sections over Slack’s cluttered, yet pretty and colorful, interface. The functions between both are fairly similar, and it’s not that HipChat has what Slack doesn’t – although HipChat does have organic video chat, and even screen sharing functions, where Slack would force you to sacrifice one of your limited integrations to add these. But that just brings me to my biggest point, HipChat lets you do what Slack does, and a little more, for much less cost. HipChat just supplies you with greater functionality and flexibility and if you want to upgrade, well you’re only paying $2 per user a month. Not to mention, HipChat has an enterprise solution and even the ability to host your own servers in house. Slack might be working on something similar, but HipChat is definitely the go to if you need everything in house. 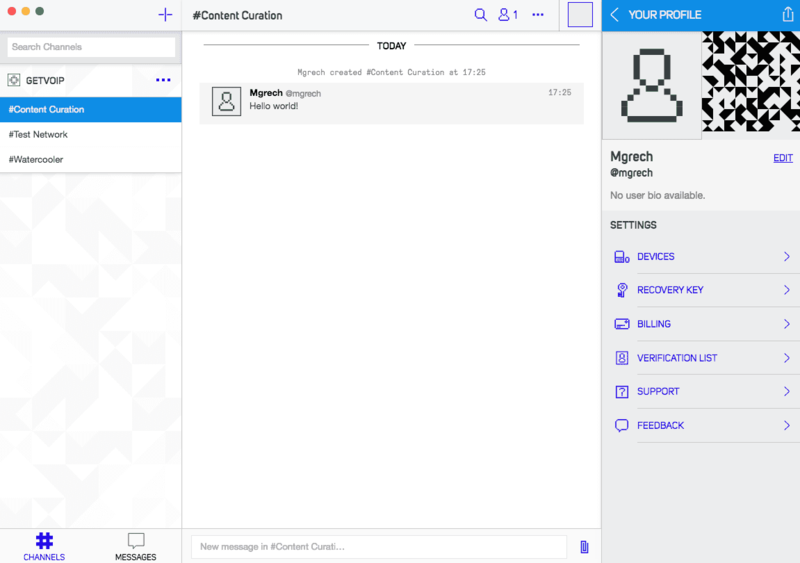 For the truly paranoid looking to ensure total security of their messages and chat logs, Semaphor might be the answer for you and your team. Developed by SpiderOak, the same company that constructed Edward Snowden’s preferred Dropbox alternative, Semaphor was developed with the main goal of security from the ground up. Semaphor protects data in a similar way to that of Spark, with every bit of content end-to-end encrypted to the point that even SpiderOak themselves cannot read it. If you tried to break in, you’d see just a bunch of cyphered random jargon, and even if the government subpoenaed your records from SpiderOak themselves, that’s all they would see. But the similarities in security stop there, with Semaphor taking everything up to 11. Remember those pesky passwords you’re always forgetting, or jotting down on notepads to keep track of? You might have to write it down still, but Semaphor does you one better. If there’s one thing hackers love, its weak passwords. So instead of relying on user generated, super weak and easily guessed passwords, Semaphor generates a secure recovery key for you at the time you register an account. They recommend you store this key in a safe place, like their very own Encryptr – a web based password manager – but if you are security conscious enough to adopt Semaphor, that’s probably something you already do. Everything in Semaphor is secure, your team messages, company messages, even the files you share. The main functionality is just like that of slack with teams and members and channels/private messages, and while some standard functions like embedding links currently aren’t there, that’s something you might be willing to sacrifice to prevent anyone from getting a hold of your secret formula. So slack is one of the more customizable chat apps, there’s no denying that. 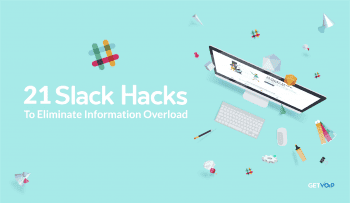 Between built in color customization that lets you use any color code or swatch your heart desires, to predetermined themes, and a huge list of integrations and bots already developed – it’s easy to make Slack the way you want it. But what if you could take that customization one step further? How would you even allow for that? Well, with an open-source architecture, that’s how. Here’s where Rocket.chat seems to fit in. Rocket.chat seems to be the perfect solution for the developers that really want to get hands on and create their own unique work chat app, not satisfied with adopting any of the existing ones. With Rocket.chat, you can construct, build, and evolve your own chat platform utilizing the Meteor.com platform. Rocket.chat allows for white labeling, to make the installation your very own with your own unique branding, the development of custom integrations and API’s (or use existing ones! ), import data from different systems with your own custom data importers, and even the option host locally or in the cloud. It doesn’t stop there, though. If Rocket.chat doesn’t have a feature you like, just develop it yourself! Because the platform is open source, anyone can have access to the coding necessary to expand and customize Rocket.chat for their own unique deployment. Pair this with an already robust selection of features like native video chat and voice messages, Rocket.chat is a great platform to play around with for developers that want a truly unique solution for their work chat. 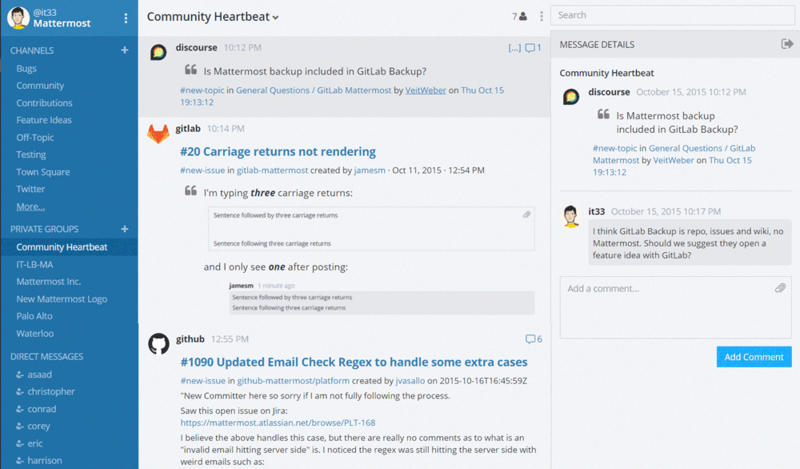 Mattermost falls in line with Rocket.Chat as another open source alternative to Slack. 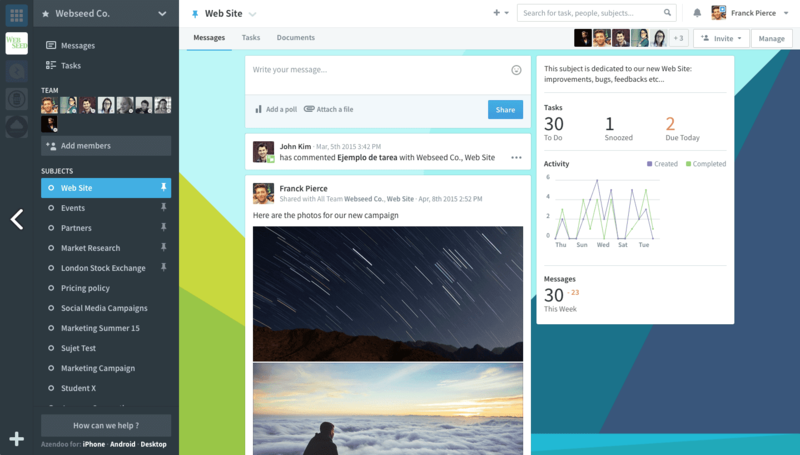 But this alternative, Mattermost goes all out in branding themselves as just that – the Slack alternative. The platforms homepage proudly proclaims that “Mattermost is an open source, self-hosted Slack-alternative.” So like Rocket.Chat, the open source platform can be developed as your own unique stand-alone work chat solution. That’s not all, though. Mattermost likes to boast how they are “Slack-compatible, [but not] Slack limited.” This means Mattermost supports Slack’s incoming and outgoing web-hook integrations, can work with existing Slack integrations, and even lets you import users, channel history and theme settings from Slack right into Mattermost. 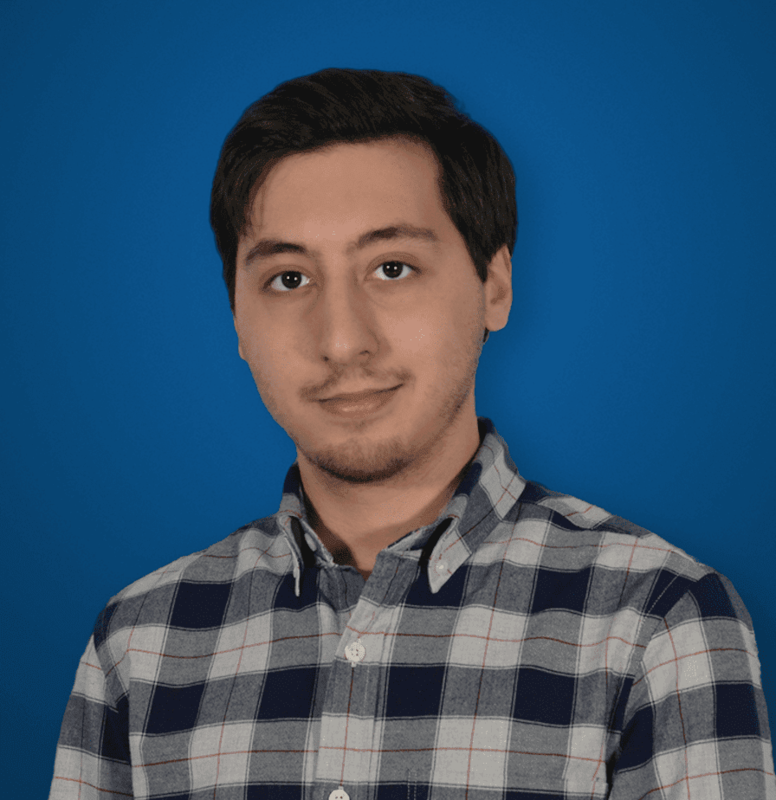 Like most apps, Mattermost is available on Mac, PC and mobile devices, but unlike most apps is also available as a production-ready Linux binary for super easy setup on Linux machines. Mattermost also adds a list of features that Slack doesn’t offer. Again to quote the Mattermost themselves, the platform “shows you how Slack might look, feel and work with features that Slack is missing.” These features that Slack is missing include the ability to use one account across all teams, threaded messaging so you can reply and create a thread on a specific message, searchable hashtags that can be clicked (think Twitter or Instagram), 21 color settings, 11 fonts, rendering text in a fixed width or full width, better, less confusing channel names and even the ability to format your messages as lists or blocked paragraphs, with titles and headers or whatever your heart desires. Like the said, how Slack might look, feel and work with features that Slack is missing, all while remaining open source and self-hosted. With less of a focus on the chat itself, and more so on the collaboration, Azendoo offers a different take on the work chat and collaboration space. Azendoo claims it is much more than just a chat app, and that certainly shows. Unfortunately, if chat is your main focus you might want to look elsewhere – Azendoo handles chat with a string of comments and relies on context to comment on. This isn’t a bad thing, and it works to empower stronger collaboration as context is key, but it makes a free flowing chat a bit more difficult. Think if it as posting a picture or link on Facebook, the content you posted is the context, and the comments that your friends post are the discussions. This is how Azendoo looks to solve the collaboration problem and cut down on some of Slack’s clutter. Direct messages are also possible, but this works a bit like Twitter direct messages, or more old school instant messengers. Where Azendoo does excel though is in the collaboration, and not just how you discuss it. Azendoo includes a long list of strong features you would normally rely on other separate platforms for, like the ability to track the progress of your coworkers on their topics, including breakdowns of how long they’ve worked on a topic, set and track due dates, delegate assignments. Azendoo has a built in calendar to allow for easy scheduling and tracking that can be shared and seen across your team. Azendoo claims to do the same as Slack, replace email and boost collaboration – but markets itself more as a task a management application. If your goal is to keep track of tasks and progress while allowing for collaboration and input from others, with less of a focus on direct messaging and free flowing chats, Azendoo is a strong contender. 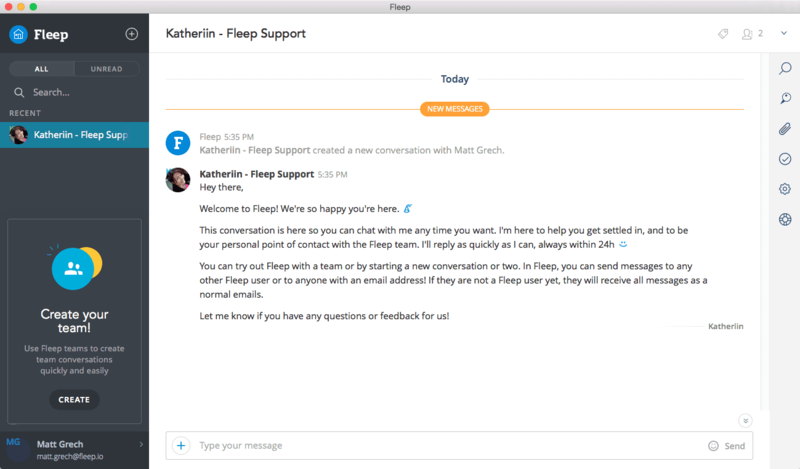 At first glance, Fleep may just seem like another Slack clone based solely on its appearance. And you can’t blame anyone for adopting Slack’s design, it’s a simple one that works – and there’s an old saying, don’t fix what isn’t broken. The real innovation comes when you expand and grow that platform. In Fleep, that expansion comes in a few different ways, one of the biggest is the open communication platform it provides. In Slack, you are limited to a team, can only have one account per team, and can only discuss things with those in your team. Switching requires you to log into a different account, adding someone requires a team email and an invite. What Fleep does, however, is completely knock down those barriers. Fleep allows for “ultimate team communication,” as they put it, so you can talk to anyone from anywhere. Users can message any other user on Fleep, even if they aren’t on your team, and you can belong to as many teams at a time with a single account as you want. Better yet, if you want to discuss something with someone that doesn’t even use Fleep, just chat with them using an email address and all messages will be sent to them as normal emails. Fleep also adds some extra collaboration and workflow tools, like task management to create, assign search and track your own and even coworker’s tasks. They even included a pinboard so you can pin your most important messages right next to your conversation so you never forget them, as well as a file drawer to store all of your shared files and pictures, again right next to your conversation. This way you don’t have to scroll up past the last 500 messages to find that image from three weeks ago. Native video and audio calling as well as screen sharing also put Fleep one step ahead of Slack. The eXo Platform is one of the more unique solutions in our list of Slack alternatives. eXo is not a chat app, nor is it a task management or collaboration tool, or a file sharing or conferencing tool. Instead, its everything, but wrapped in the familiar guise of a social network. With the eXo platform, a business can create its own internal social network to empower collaboration and productivity in a totally new way. Called a “social collaboration solution,” eXo operates almost like a work based Facebook, with user profiles, connecting with others in your network, activity streams to display your colleague’s updates and even integrates with other work tools to aggregate any relevant information coming in on other screens. Users can even create and establish “spaces” to dedicate to a specific task, project, team or meeting. Spaces would work like Slack rooms and allow for the contextual collaboration on a specific task at hand. A built in calendar makes it easy to keep track of your workflow and scheduled meetings or events and even set reminders or send invitations to events. Of course, no collaboration app would be complete without some form of a chat element – and eXo provider users with a Facebook style messenger that pops up in the bottom right of your screen in a very similar fashion to the most popular social network. Don’t change what isn’t broken, right? Something really cool is the Wiki function – right in the eXo platform you can establish your own Wiki to keep all your team’s information in one easy to find and search database, and even forums for more in depth collaboration and discussion. Built in content management tools empower users to go as far as building a fully accessible website, and update content right from inside eXo. 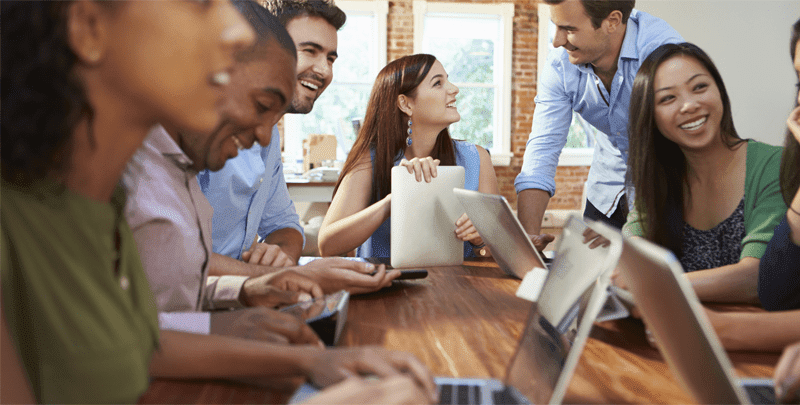 Similar to the social network that the eXo Platform provides, Bitrix24 also builds on the idea of a workplace social network to enhance communication and collaboration. Where eXo seems to have a stronger focus on content, with the tools to create and deploy content right in the platform, Bitrix24 seems to have its sights set on a larger base, and even sales businesses. 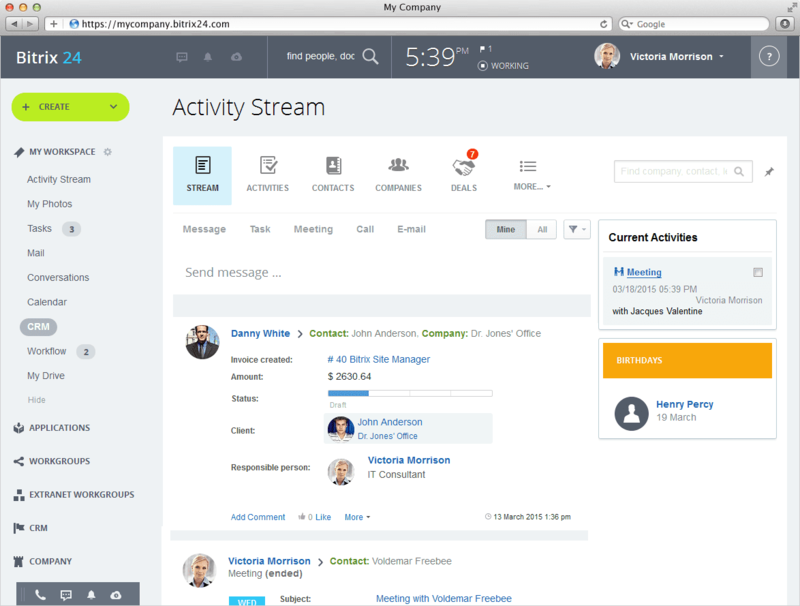 With a CRM, sales team management and even automatic lead assignment baked into the platform, Bitrix24 is a unique solution for operating a sales team. But don’t think Bitrix24 is only limited to contact center use, because it has so much more. Again like eXo, an activity stream keeps you in the loop of what coworkers are up to, and covers all functions of this social intranet. Project and task management is made possible with a tasks section to outline dedicated groups, discussions and tasks related to any and all projects going on. The tasks section blends with an included calendar to keep everything up to date and organized. You can even setup Gantt charts to track your own progress and plan your day. Checklists, task counters, Employee workload management, and task dependency lists only continue to boost the productivity and collaboration made possible. Chat and video conferencing are also included, with a real time instant messenger that saves your history and works like many popular chat apps, as well as group chat, voice calling and screen sharing. Built in cloud storage, and even email take Bitrix24 to a whole new level. This is a social network, a chat app, a work management tool, a cloud drive, CRM, online meeting center all in one. Another all in one collaboration app, Glip does everything you would need for your work and collaboration in one app. Originally built as a conversation based collaboration tool, Glip doesn’t use an activity stream or dashboard but has a main focus on the conversational aspect, with all of the extra tools you would need to stay organized and productive thrown in. 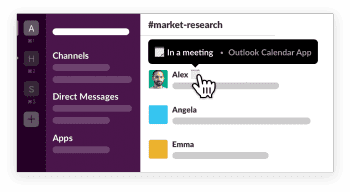 Of course searchable instant messaging is a given, but Glip also provides its own task management tool that also integrates with a shared calendar amongst your team. Like the other solutions, it’s all about context surrounding your conversations with the ability to collaborate documents, with an “audit trail” to keep track of every change made, and who did what. An independent space for shared files helps keep track of every document that gets uploaded, downloaded, changed and moved around. It’s a bit of a common theme that these alternatives provide one of the most crucial elements missing from Slack, video chat, and Glip continues that theme. An interactive image viewer is great for those visual elements that need to be shared and tweaked, you can edit, annotate and keep track of it all right inside Glip. One of the largest benefits of Glip is its massive integration catalogue, with some very popular apps like Google Docs, Dropbox, GitHub, Trello, Asana and even ZenDesk to help automate any other task. Glip was acquired by RingCentral in 2015, so that platform has a more robust network to rely on, and handle communications like the voice and video chat that are included. If you are already utilizing RingCentral services in your office, Glip is usually included for free and can be a great addition to the toolkit. I can confirm, Bitrix24 is SO much better than Slack in terms of features it provides AND it’s free for unlimited users as far as communication tools are concerned AND there aren’t any stupid limitations on history search. 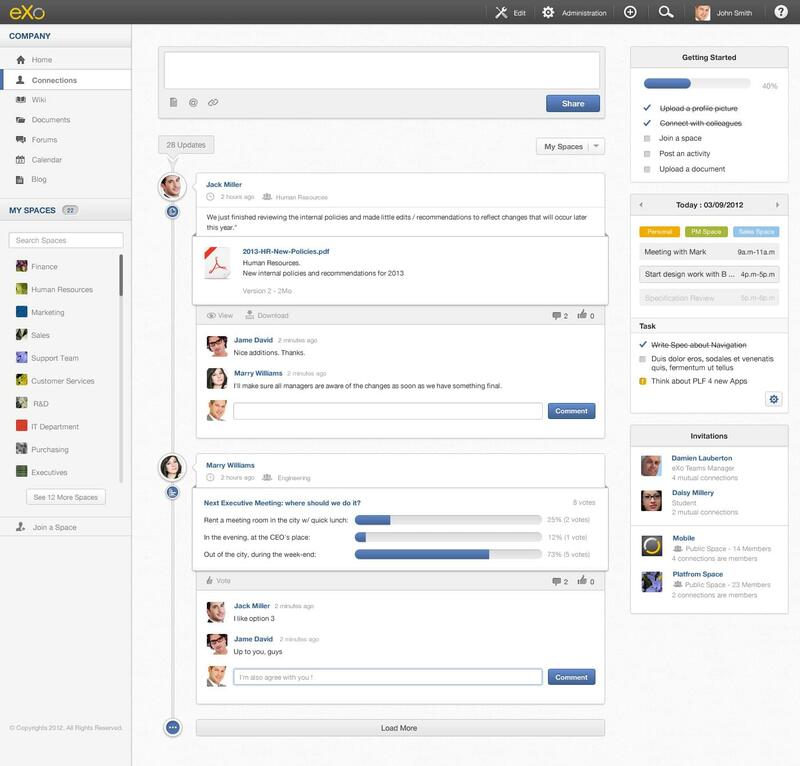 Another tool that people can try for project management and collaboration is proofhub. This tool will help you to plan, organize, collaborate and deliver projects on time. I used Cisco Spark, Sephamore, Slack, etc. They were interesting, but similiar. Slack was really different. I’m looking for way to communicate with clients and customers. I like Bitrix24 very much (apart from the incredibly confusing UI) but like many of these tools, it seems to be intended primarily for use within a company or team. I’m a one person business looking for communication with external clients. Are any of these many tools better adapted for external communication?